Glenn grew up in Milwaukee, WI, then spent 5 years in the Denver metro area before moving to Indonesia, where he married and had two children. He returned to Milwaukee in 2017 with his 2 children shortly after his wife died of hypoglycemic shock brought on by inadequate nutrition and stage 4 cervical cancer, after 2.5 years of treatment, in which he was by her side almost constantly in the hospitals there. He had not intended to leave, having founds clients, but some of her family had become crazed with grief and anger, and were persecuting him – even trying to take his kids away. As a child, he was accosted by a small number of bullies at home and at school. In 8th grade, he grew frustrated with poor support from the school and started standing up for himself. In truth, he had focused so much on the negative comments and physical attacks that had occurred that he didn’t realize for many years that he should’ve focused on the large number of youths who left him alone and those who were his friends. As a young man, Glenn taught himself massage techniques and developed his own form of hypnosis. This negative perspective due to bullying that didn’t end until his second year of university, combined with his parents’ divorce and other factors, sent him into chronic depression from his teenage years into his late twenties. Through reading, introspection and self-help, Glenn overcame his depression and the strongest impact of the bullying, although he still struggles with completely uprooting both. During his wife’s decline, he was plagued by depression and PTSD, but recovered after months of medication, followed by personal effort and therapy in the US. Over the years, Glenn also learned how to conquer his 3 phobias, with his greatest triumph being donating blood for his wife after decades of struggling with a fear of needles (trypanophobia) and, in fact, did presentations to students in Indonesia about fear and emotions, teaching them techniques to deal with fear, such as abdominal breathing and how to use mindfulness. Glenn attended most of junior and senior high at Rufus King Prep, the top public school in Milwaukee, and one of the top schools in the city, where he enjoyed science in particular, and developed a strong interest in computer programming. He attended the University of Wisconsin – Oshkosh, and then Milwaukee Area Technical College, where he receive an associates degree in applied sciences for computer information systems, specifically programming and systems analysis, and also took extra classes in English and writing. After that, he pursued educating himself further in a variety of fields both on the job and via books and, once resources were readily available on the Internet, he broadened his private studies even further, including psychology, education, science, computers and more. Prior to the public advent of the Internet, from 1990-1995 Glenn ran his own bulletin board service (BBS) on a series of different Apple II computers, with the help of two other people and was active in the burgeoning online community that had frequent events even before the Internet. He also helped others with their BBSes, and learned how to handle hardware problems and assemble computers. In the US, Glenn worked a variety of jobs in different industries, interested more in learning new skills than tolerating nasty bosses and uncaring companies, including both retail and door-to-door sales, telephone surveying, clerical work, technical Internet support, DSL technical support, supervisory and managerial work, restauranteering and more, even the care and sale of aquatic pets. After returning from Indonesia, Glenn’s main focus was helping his children transition and come to terms with the losses they’d experienced. He worked at Feeding America, where he gained the trust of his superiors, who taught him more and more. He is currently GAB’s office manager. In Indonesia, he moved into teaching and, although he mostly taught ESL and English, he also started teaching other subjects at the primary level, such as Science, Social Studies, Health and IT, and even developed an IT curriculum for one school. He was the prefect master at certain schools and developed prefect training and support programs aimed at developing leadership, and also ran a very successful weekend camp to improve unity and decrease bullying and other school issues. After being there for 5 years, he started getting invitations to judge English-related events, proof-read and record scripts for English tests and teach ESL. He then started receiving invitations to do presentations about English, Education, and the environment, from pre-primary to university level, being reported in the news once or twice. In 2007, he started researching both education and the environment in earnest. In 2008, he was flown 3 times to the eastern islands of Indonesia, called Sumba, Timor and Flores, where he presented to English teachers of the region and ran a game-making workshop. The invitations continued right up to his last month in Indonesia, although he often had to turn them down in order to take care of his wife. Eventually, he started getting invitations from schools to motivate students and teachers, and deal with their emotions, especially as they related to learning English, although he often found a way to extend what he shared to ALL subjects. During his last 5 years in Indonesia, he often assisted his wife with her food business, selling a variety of foods on the side of the road, and, after her cancer became public, they appeared on several TV shows and in the news between 2014-2016. Of his life in Indonesia, he says he would do it again, because it greatly expanded his horizons and allowed him to see a great deal in terms of history, culture, religion, art, music, cuisine and more that he’d never have seen in the US. Further, he had hoped to continue to help Indonesia develop its educational system, which was given a big advantage over US education with an advanced curriculum in 2013. Glenn spoke at/for the University of Siliwangi, Tasikmalaya, General Soedirman University, IKIP-PGRI, Diponegoro University, and many other places (See list here), primarily to educators and university students, although he did a lot of classes for younger students. Glenn enjoys a wide variety of activities, hobbies and interests, including volleyball, sailing, swimming, white-water rafting and canoeing, hiking, rock- and wall-climbing, fishing, archery, gardening, reading, writing, learning and self-improvement, bowling, darts, billiards, and other activities. He is a chocolate lover extraordinaire. He studied at the Chinese Shao-lin Kung Fu Center, learning Kung Fu and T’ai Chi in Denver, and he received a 3rd-degree brown belt before he moved to Indonesia. While he used to have a variety of collections, he eschews such activities as a waste of space and money, and has come to realize that “less is more” when it comes to possessions – a belief his children don’t (yet) embrace. He loves animals and nature, and prefers quiet places over just about anything mankind can create, although he has an ear for classical music. 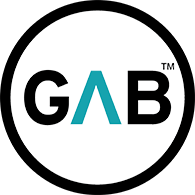 Of GAB, Glenn was given the option to go there to work, or go to other places that were closer, but he insisted on helping GAB because it is important to him and he is flabbergasted by the fact that bullying has gotten worse, not better, in the US. He firmly believes that bullying is one of the major factors causing school and mass shootings, along with violent video games and abuse in the home, and he is earnest in his desire to help make a change for the better. 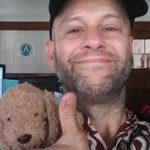 He has helped GAB with getting tax exempt status at stores, registering GAB with charity watchdogs, maintaining and improving their computers, researching various topics to help GAB, helping at events and done a variety of other tasks.